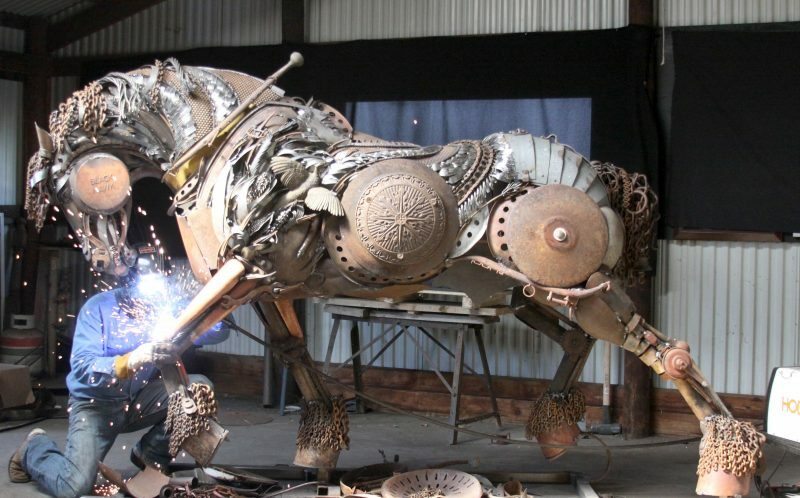 John Lopez welds scrap iron and reclaimed metal into intricately welded sculptures. Sometimes you just need to stop what you’re doing and marvel at the amazing work welders do. Much like we did previously with David Madero, or Bob Dylan we want to highlight the work of John Lopez. 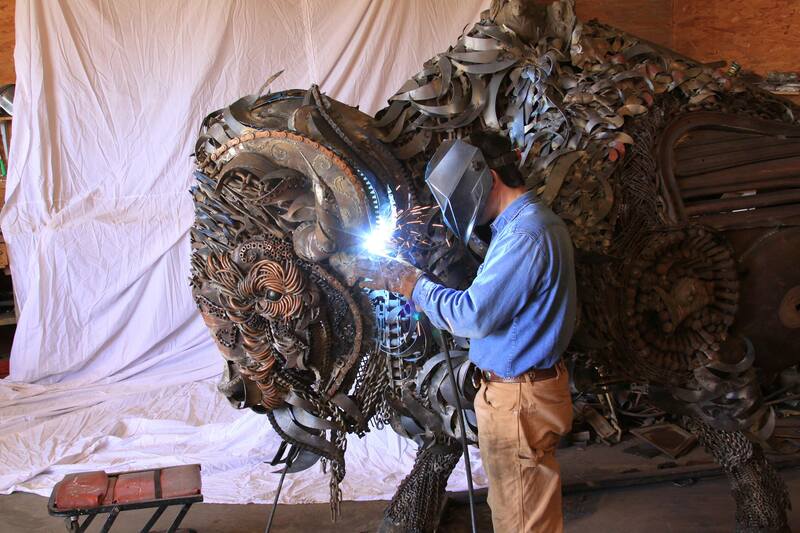 John Lopez welds life-sized scrap metal sculptures. 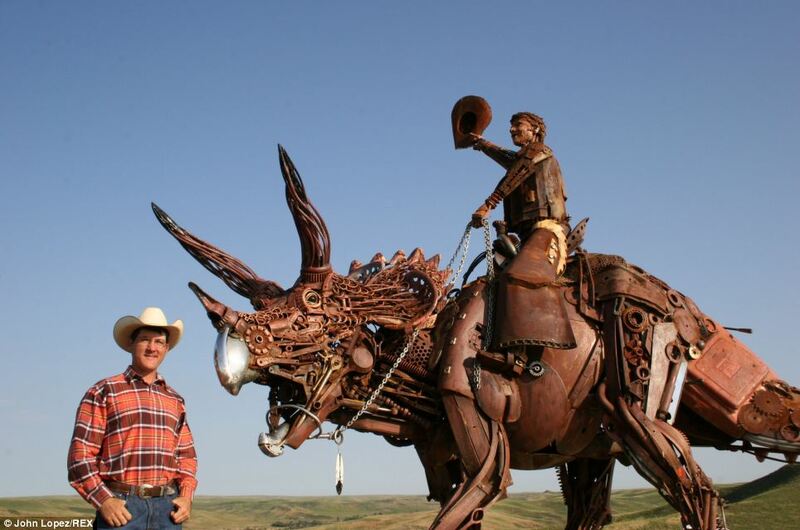 John Lopez was born and raised on a ranch in Western South Dakota and his welded sculptures often reflect his upbringing. Sculptor John Lopez is a product of a place. His people’s ranches are scattered along the Grand River in northwestern South Dakota—not far from where Sitting Bull was born and died on the Standing Rock Indian Reservation. Not far from where thousands of buffalo were killed during the westward expansion of settlers and gold miners. In the bone yards of Tyrannosaurus rex and grizzly bears. You can follow John Lopez on Facebook to see his welded sculptures and artworks. You can also watch more John Lopez YouTube videos about his Grand River Series, his welded art sculptures, and Iron on the Range. Next Time for a Giveaway!